Around September 1998, students in Harvard's Progressive Student Labor Movement planned a living wage campaign. In February 1999, the Harvard Living Wage Campaign held its first rally, attracting a crowd of approximately 200 and featuring students, faculty, representatives from local unions, and Howard Zinn. In Summer of that year, approximately 200 community members attend a rally that featured a speech by Julian Bond, Chairman of the Board of the NAACP. In October the Campaign began working with SEIU Local 254, the union which represents Harvard's janitors. At an April 2000 rally in Harvard Yard, City Councillors Marjorie Decker and Jim Braude announced that they would refuse to approve building permits for Harvard until the university implemented a living wage. On May 6, 2000, Matt Damon, Ben Affleck and Howard Zinn spoke at Harvard Workers First: Rally for a Living Wage. The rally was organized by the Harvard Living Wage Campaign. In June 2002, HERE Local 26, the union representing dining hall workers signed a contract with the university ensuring that wages for many workers in the union was set at $10.85 per hour. However Campaign members were disappointed that this was still less than the Cambridge Living Wage level, currently at $11.11. Deborah Belle, Radcliffe Fellow and Professor of Psychology at Boston U.
Jim Yong Kim, Instructor in Medicine at Harvard Medical School; Co-Director, Program in Infectious Disease and Social Change. Professor Harvey Cox - "I recall speaking at one of the early rallies, along with Richard Parker and Cornel West." Tony Smith - "go get 'em we did in 1969!!" Naomi Klein, author "No Logo"
Chris Brooke, Fellow and Tutor in Politics, Magdalen College, Oxford. 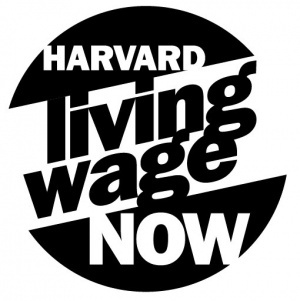 Bill Shakalis, Chair, Socialist Party USA Boston Local - "The Socialist Party USA/Boston Local endorses the Harvard Living Wage Campaign and is worlking in support of the April 21 rally at Harvard Yard." This page was last modified on 2 March 2011, at 03:33.